West Ham have failed to find consistency so far this season under Manuel Pellegrini, losing six of their opening 12 Premier League matches. The Hammers splashed over £100m in the summer to bolster their squad and, despite some signs of improvement, further work is required when the market reopens in January. However, due to the vast amounts of cash Pellegrini spent in the summer, departures are likely to be required to raise funds and this has led to plenty of speculation regarding the futures of underperforming players within their ranks in East London. 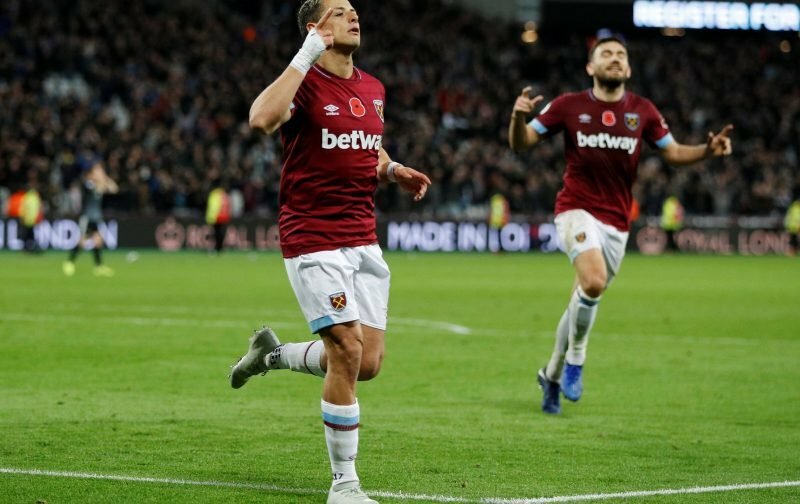 One of those is striker Javier Hernandez, who arrived from Bayer Leverkusen ahead of the start of last season but has struggled to rekindle the form that saw him establish himself in the Premier League previously with Manchester United. Now struggling for regular opportunities, with Marko Arnautovic utilised as the leading man, reports suggest Turkish giants Besiktas are keen on a deal – but some West Ham fans are unconvinced by the fees being mentioned. Loan?!?!? Prefer sell him or keep him! Yes, i think we can afford that.